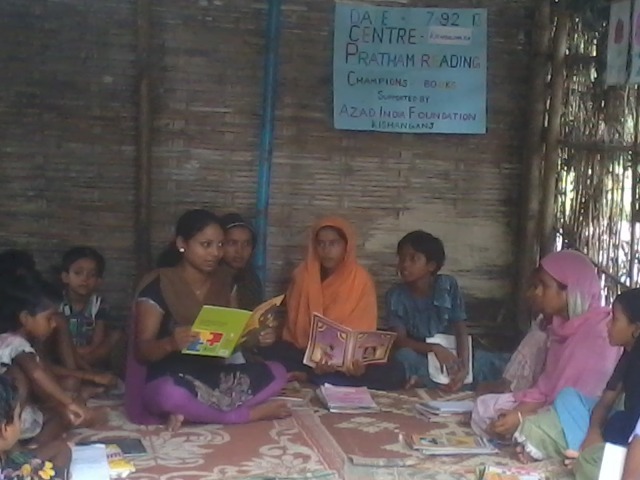 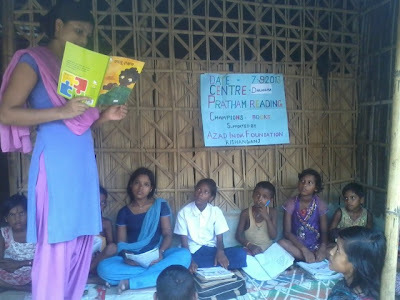 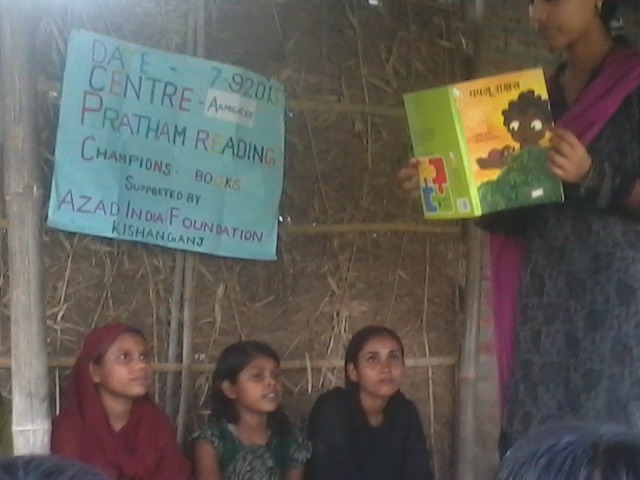 Azad India Foundation organized reading sessions all through the day on 7th September at 40 Nonformal Centers under ProjectTalim and Project Aalima Girl Child Learning Centres. 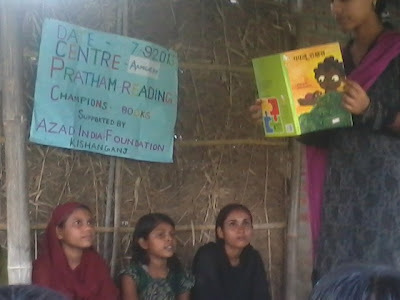 40 teachers, 7 cluster level coordinators and 1282 children read, listened and narrated Paplu the Giant in English and Hindi. The day was full of excitement at the centres as preparation for the D- Day had started almost a week before. 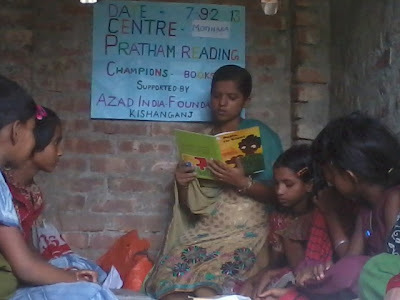 This small step of Pratham Books brought joy of reading to so many children.